Sports photographer 1983-present. Taken Sports action photos at all LCHS sporting events since 1981. He has taken team and individual photos since 1983. Has provided photos at team sports banquets and to the yearbook for many years now. 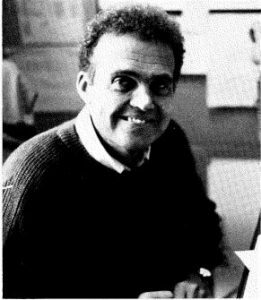 He has been a genuine supporter of LCHS sports for over four decades now. 2-year letterman in baseball; all conference pitcher in 1960. 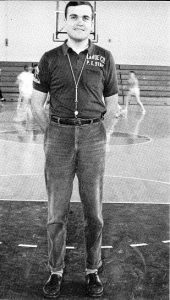 Assistant basketball coach at LCHS from 1967-69 and 1987-90. Coached the 9th and JV teams during both tenures as an assistant basketball coach. During his second time as an assistant coach, the LCHS basketball teams made back to back trips to the State Tournament in 1987 and 1988. Retired in 1993 and then worked as a special education instruction assistant from 1993-2008. From Doug Ponder – Sandidge has provided pictures to our newspaper for years. Not only are they quality pictures, but he also captures the emotion and energy of each player in his pictures. Over the years he has developed a knack for catching the best pictures of players during games. From Glen Rice – Terry Sandidge has spent his entire life in LaRue County where from an early age has had a positive impact on his community, his church and also the school system where he was employed for 40+ years. Terry is a person that puts everything he has into whatever he is involved in or takes on. Concerning his community contributions, a book could be written on his involvement in so many things, especially his adopted role as sports and activities photographer. Terry has covered all of the school’s sports, clubs and community picture taking for years. His pictures have created memories for so many families for generations. One could go on and on about Terry’s dedication to our local school system, his church and the community that he has so been a part of. When you speak of someone who has made a positive and long-lasting impact in so many ways, Terry Sandidge’s name will always be among those faithful few. From Jennifer Bernard (Yearbook Supervisor) – Terry Sandidge is an exceptionally talented and unique photographer. This is not a job for him, but a hobby he has been doing for many athletes through the years. 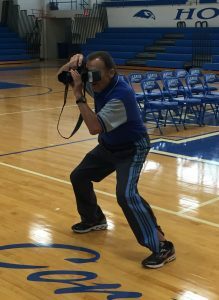 He is always reliable, patient, humble, considerate, resourceful, incredibly hard-working, and enjoys taking photos of athletes in LaRue County. Students, coaches, and staff respect him and enjoy seeing Terry at athletic events. Terry has a natural gift for translating the story and themes into shots while capturing an image for the Yearbook staff, parents, and students. Anytime I ask Terry for photo or images, he never disappoints and brings them in for our Yearbook staff. From Phil Eason – One of the finest gentlemen I know. Whatever Terry undertook he was completely loyal to it. He moved from being a successful elementary principal to become a high school assistant principal for a young unproven high school principal because it was need for the betterment of the district…and I was fortunate that he came to be my assistant principal. I personally benefited from his commitment to the Larue County School District. Terry is always about serving others. It is never about him. He is the ultimate servant leader way before it became a buzz word. Not certain anyone has given more volunteer time to the athletic program at LCHS than Terry.